These wonderful bloggers are hosting reviews, promos, giveaways, and more for Death of the Spirit. Celebrate this spooky time of year and support the bloggers on their given day. Click the links below to read their reviews, comment on their posts, and enter to win! Indie BookFest 2015 is a three-day event celebrating indie/hybrid/traditional authors and artists and their freedom of expression. Join some of your favorite authors for three days filled with a book signing, sessions, lunch, author meet and greets, an after party, and great fun! You won’t want to miss the sessions throughout the day, where panelists will be speaking on a variety of topics relevant to readers, book lovers, and writers. Indie BookFest 2015 will be held at Caribe Royale in Orlando, Fl., on July 31, August 1, & 2, 2015 The Caribe Royale is located just 1.5 miles from the Walt Disney World® area! 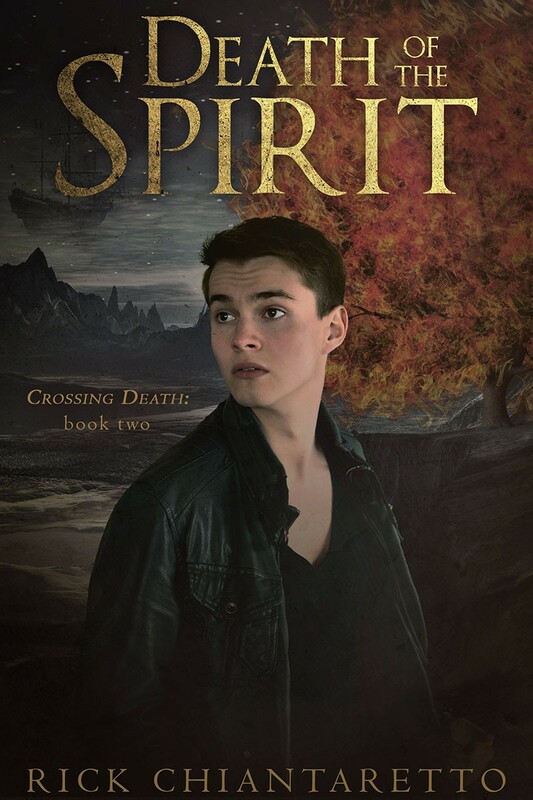 The cover for Death of the Spirit (Crossing Death #2) is finally here, but it isn’t enough to just do a cover reveal and giveaway. I want to give something to EVERYONE! So for this very special release, scroll down to get Death of the Body (Crossing Death #1) for FREE. You can also preorder Death of the Spirit (Crossing Death #2) TODAY! Click the social icons on this page to share! I grew up in a world of magic. By the time I was ten I understood nature, talked to the trees, and listened to the wind. When the kingdom of men conquered my town, I was murdered by one of my own—the betrayer of my kind. But I didn’t stay dead. Come visit me at the St. Petersburg Main Library on Saturday, October 18th, 2014. 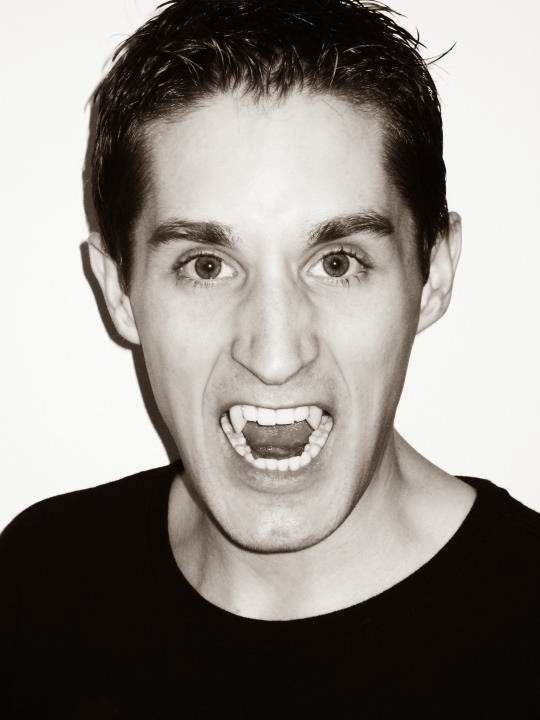 I will be talking about why horror elements in fiction are the best way to emotionally connect to your reader, answer questions, and sign books! A limited number of books will be available for sale, and I’ll have Death of the Body SWAG for everyone who attends! I had the incredible experience of being interviewed for an article in Orlando Style and Tampa Style Magazines. The writer, Maria Delis, wrote an article on the allure of dark fiction. Check it out below! Facade of Shadows is FREE August 12-13, 2014 to celebrate being re-released for 60 days. Amazon has a limited number of free days that it provides to Amazon exclusive works, and August 12-13 will be two of these days. Pick it up for FREE before this offer dies. 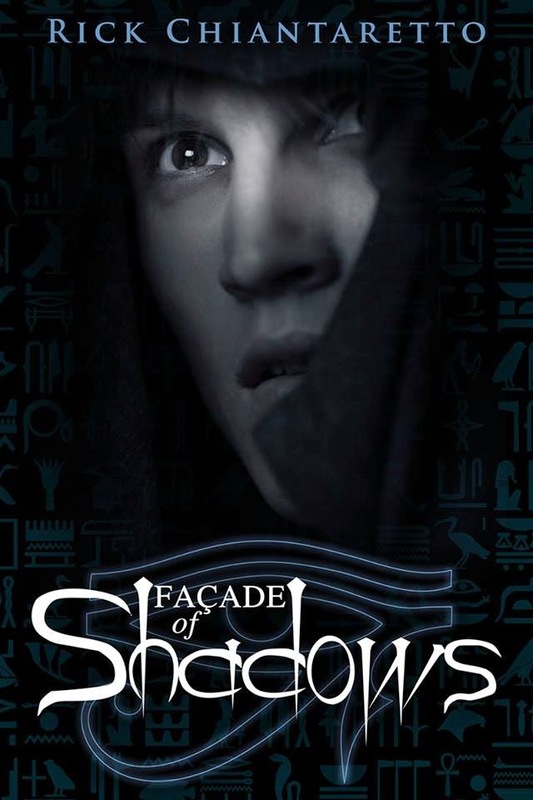 Good Choice Reading Blog Tours is currently organizing a review tour for Facade of Shadows from July 21st – 25th. You can sign up for the tour HERE. The teacher pointed out a desk to the other student. Dominique took one step toward her seat and noticed… her. The girl was paying strict attention, even though the teacher wasn’t saying anything that concerned her. Dominique wondered if she was taking notes on the new seating arrangement, as she feverishly moved her pencil. The other new student noticed the discomfort on Dominique’s face. Dominique felt a wave of relief. There was something about that girl that she just didn’t like. “Thank you,” she said to the student. She felt him brush her arm as he pushed past her; he felt like iron. This was the first time she had been able to get a good look at him. His arms were impressively muscular. He was dressed completely in black and looked back at her with stunning blue eyes. “I’m Lucas, but most of my friends call me Luke,” he said, pushing his hair out of his eyes with one hand and thrusting his other at her. Welcome to the Spring Event April 18 – March 5We are having a Book Blast and Virtual Book Party. Check out the books sponsoring and content below I grew up in a world of magic. By the time I was ten I understood nature, talked to the trees, and listened to the wind. When the kingdom of men conquered my town, I was murdered by one of my own—the betrayer of my kind. But I didn’t stay dead. Joclyn Despain has been marred by a brand on her skin. She doesn’t know why the mark appeared on her neck, but she doesn’t want anyone to see it, including her best friend Ryland, who knows everything else about her. The scar is the reason she hides herself behind baggy clothes, and won’t let the idea of kissing Ryland enter her mind, no matter how much she wants to. Nell Massler is a powerful witch from an ancient magical family. Before she was eighteen years old, she attempted murder—not once, but twice. Committed to a psych ward, she attempts to right her wrongs and almost loses her life. While she’s lost in a coma, Caruthers Initiative Institute develops a vested interest in waking Nell—and offering her a chance at redemption. ?Nari hates everything about her life, except for her best friend Rydan, but now that they’ve been separated during their senior year of high school, she has to learn to make new friends without him. When strange, unexplainable phenomena start becoming an every day part of her life, Nari struggles to come to grips with reality. And with love. Kind hearted and naive, Paige Jacobs wants what every girl craves…to be loved. She uses this need to make excuses when her current boyfriend goes from being a tad jealous and slightly overprotective to stalker-ish. She isn’t that girl and Craig isn’t one of those guys. Things are fine. Perfectly fine. Until the moment a dark-haired, tattooed hottie with a snarky mouth walks into her life and tells her she deserves better. Together the two learn there are emotions that hold within them all the power to control you. A dark shadow stalks the night, watching her—waiting to claim what is his. You asked for it, you’ve got it… Amber’s story! If you haven’t read Enlightened, it is recommended to read that book before reading this novella. As a matter of fact, if you haven’t read it…don’t read the synopsis of this book….or pay attention to the title. By continuing to read, you’re taking it into your own hands that you’re reading a spoiler. Don’t write me and say you had no idea and now you’re scarred for life. Nope, you can’t say those things. You’re reading at your own risk. I’m warning you to turn your eyes and run and read the first two books before going any further. Fifteen-year-old Therese watches her parents die. While in a coma, she meets the twin sons of Hades—Hypnos (the god of sleep) and Thanatos (the god of death). She thinks she’s manipulating a dream, not kissing the god of death and totally rocking his world. Than makes a deal with Hades and goes as a mortal to the Upperworld to try and win Therese’s heart, but not all the gods are happy. Some give her gifts. Others try to kill her. Generation Automation is upon us. The craving to own the latest and greatest technology in the name of convenience has created a world where man and machine live alongside one another in an unsteady peace. Humans still rule for now. However, an underground movement has begun that will change everything. Alexia is one of the few humans left who’d rather not have an android hanging over her shoulder all day…. The closer she got to him, the more her powers awakened. He was like a magnet she was drawn to. Maybe it was the years alone that left her yearning for companionship, or maybe it was the taut muscles in his arms that beckoned her to come closer, either way she had a hard time controlling her thoughts. She knew things about him that he couldn’t remember, things that were blocked from his memory. He wasn’t from earth either, and she needed his help to save both of their worlds. But the closer she gets to Brady the more she knows her world is with him…. Now the Council is back with an offer she can’t refuse: join them in their quest to take over the supernatural community or lose the life she worked so hard to rebuild. Trying to find a way out of helping the Council, Anya lands in a heap of trouble. A string of sacrifices that point directly to her. Now she’s on a path to discover a deception that could destroy the world as she knows it. With the life of her friends and loved ones on the line and Heaven and Hell on the brink of a Holy War, only Anya can put a stop to the apocalyptic nightmare. Join one of the largest tours I’ve ever seen set up for a book. The Death of the Body blog tour February 6th through February 13th schedule is listed below. There are guest posts, reviews, spotlights, interviews, teasers, exclusive short stories and a HUGE giveaway! Follow along each day. I watched in disbelief as blood seeped through my fingers and dripped, thick as syrup, to the ground. I heard each drop thud against the ground beneath me. The echo in my ears beat louder than any drum. For the first time in my ten years of life, I cursed the connection I had with the planet. I cursed it for its betrayal. I cursed it because, with every drop of blood that spilled, the planet felt my pain and mimicked my screams with its own bleating sound that bounced around inside my already spinning head. My legs were weak and my knees buckled but I didn’t dare let my hands loosen from around the wound in my stomach. I caught the weight of my fall with my face. I rolled onto my side in order to breathe. Pain surged as the ragged edges of my wound rubbed together. I felt every last severed nerve. They were all on fire. Blood poured quickly. Worse than seeing it, I could feel it, hot and sticky in a pool beneath me. My stomach retched but it would hurt to throw up so I tried to force down the feeling. Bile came up anyway. I turned my head and choked it out. The rusty taste left in my mouth was so sour it made my eyes water. I cried uncontrollably, feeling ashamed of myself. I wished for the comfort of my mother and father. I longed for the company of my two best friends. It was ironic that I’d just had a conversation about death with them a day ago. As I lay sobbing on the ground, the thought that I was going to die became more and more real. Already my blood was soaking back into the earth that I loved so much. I thought of the lessons that taught me not to fear death. I had been taught that death was a return to the larger conscious mind that is nature. This awareness made my people who they were and gave us our unique gifts. I was afraid anyway. The thought of dying was much more terrifying now than when it was taught to me by the Elders. The Elders. The Elders who were either dead or enslaved. The Elder who betrayed us all and who did this to me. Rage: pure, blazing, and blinding in its fury. I was too enraged to even notice that I could feel anything besides pain. Rage boiled inside me as blood boiled from my stomach and I realized it was based in two other emotions: hate and disbelief. Then something cold and wet hit me between the eyes. I rolled onto my back and stared into the dark and threatening clouds. Another something hit the back of my hand, and I lifted it (was my arm always this heavy?). A drop of rain mingled with my blood. I had never experienced rain before. It never rained here—at least not in my lifetime. Rain was for when the world was angry, when its powers had been abused and the balance of life had been disrupted. But wasn’t I angry? And wasn’t I connected to the planet? Didn’t I understand its moods and feelings? Why wouldn’t it then understand me? In my delirium this seemed to make sense, and the large flash of lightning that then split the sky seemed to confirm my thoughts. The flash was blinding, and I didn’t have enough energy to be startled by the fact that my vision remained nothing but the same bright white light. 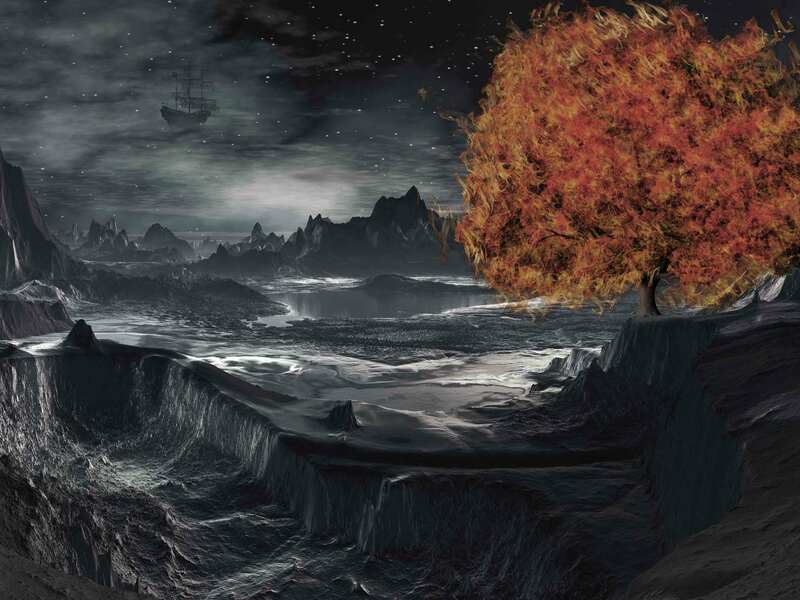 I shivered as cold crept into me; it didn’t help that I was lying in a chilling pool of blood. The rain picked up. I was nearly soaked through, but was too weak and numb to move. At least the pain was starting to slip away. I could only imagine how blue my fingertips must have looked. They felt like ice. After the pain was gone, the fear began to fade. All the tension in my body went with it. Cold as I was, I started to feel strangely comfortable. I could feel the earth beneath me, supporting me, soft and gentle. My mom used to hold me like this. When I realized the rage was slipping, I cried out. I wanted to keep it alive within me. I wanted to be angry and upset. I wanted to be angry because feeling an emotion—any emotion—was better than accepting death. As the rage faded further, I thought I heard distant laughter. How could anyone be happy now? How could they laugh as I lay here, a mangled mess? It took me a minute to remember that just because the earth could feel my pain didn’t mean everyone else could too—especially not the outsiders. Their voices were getting louder and nearer. When they suddenly stopped, I heard a gasp. Mustering the last of my strength, I reached toward the voices. “Please,” I tried to say, but it came out as barely more than a groan. “Get a doctor!” a woman’s voice commanded. I felt slight vibrations through the earth as somebody ran away. The woman who spoke came over and kneeled next to me. I wasn’t too far gone to feel surprise. I imagined I was a frightening sight. I expected her to keep her distance, so my eyes widened when she took my hand in hers. She was warm, but trembling. “What did this to you, child?” Her voice shook but was full of compassion and concern. “Magic.” I couldn’t tell if I actually said the word or just thought it. As I repeated the word over and over in my mind, the rage dissipated and the light began to dim. A part of me was upset that I’d let the rage go but I was too exhausted to call it back. I welcomed the darkness now. The woman at my side was saying something but her words made no sense to me. Far easier to hear was the heartbeat of the earth. I wanted to soothe the earth’s tremors caused by the pain and fear it felt for me, but I couldn’t. As my breathing slowed, memories of the past day flashed into my mind. They were of the events that led up to my death, when all this started. It seemed like a lifetime ago. Who would have known it would only be one long day that would lead me here, lying on the ground, spilling blood? You can read the entire Part One for the cost of a Facebook post or Tweet about the book! WHAT IF ALL RELIGIONS WERE STORIES, AND ALL STORIES WERE TRUE? 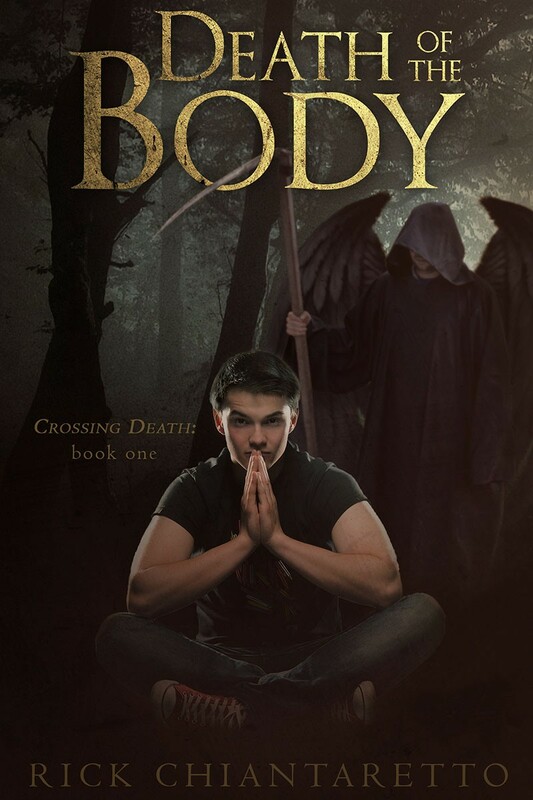 Death of the Body by author Rick Chianateretto is a new adult urban fantasy that touches on the controversial subject matter of religious beliefs. Death of the Body is story of a young man named Edmund and his journey from a world of magic in Orenda to our world when he is betrayed and murdered by one of his own kind. Death of the Body will be available in e-book and paperback formats on December 13, 2013 on Amazon, Barnes and Noble and Smashwords. The Black Friday Extravaganza is live now! Click the banner above to go to the Facebook event, where dozens of ebooks (including Death of the Body) will be given away. Also, join the Rafflecopter giveaway below for your chance to win one of four $50.00 Amazon Gift Cards! Use the social media buttons above to easily share this page! 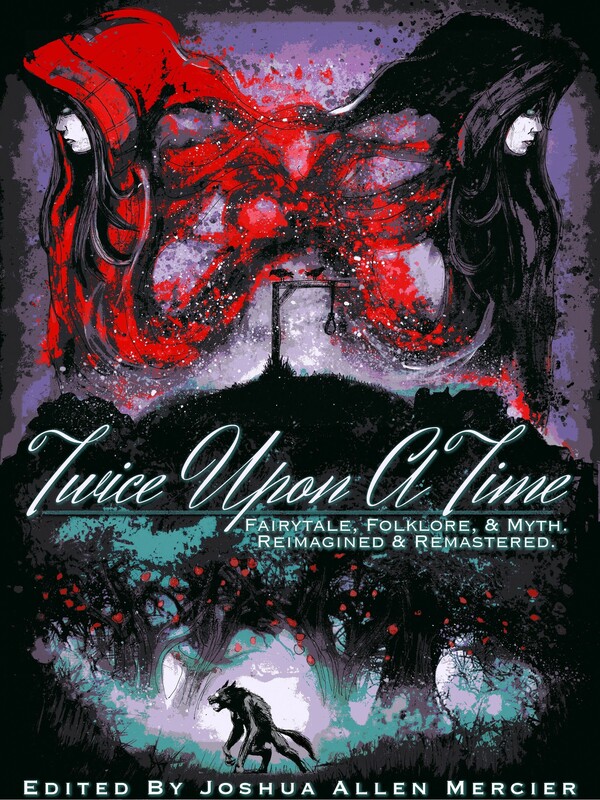 Synopsis: I grew up in a world of magic. By the time I was ten I understood nature, talked to the trees, and listened to the wind. When the kingdom of men conquered my town, I was murdered by one of my own—the betrayer of my kind. But I didn’t stay dead. I’m so excited to offer my first giveaway to my early supporters. Entering is easy! If you’ve liked my Facebook page or follow me on Twitter, you’ve already got 4 entries!